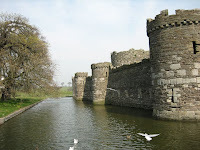 Thirteen Things to do in Wales. 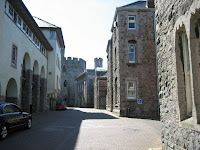 And beware, there are more castles here than is safe for human consumption. 2… Go to the perfect castle on the first day. I love Beaumaris. I want to go back – luckily we’re headed by to the same cottage in August *grin* 3… Take too many pictures of said perfect castle. 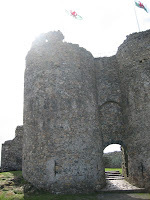 5… On the second day, find yourself another castle in Edward I’s Ring of Iron – or is it Stone *grin* This one is Criccieth. 7… Head for a beach in the afternoon. We managed a different one every day. 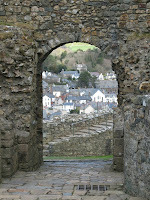 8… Head for the walled town of Caernafon 9… Copy #3 and #5 of course, LOL. 10… Take the picture of the holiday. I love this photo – and it hasn’t been altered in any way. 12… Try to squeeze in those extra castles, just to keep up the quota. 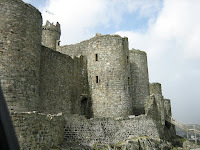 This is Harlech and Conwy. 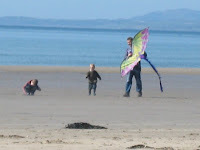 13… And on the last day, head for Harlech beach, *the* best beach, and watch while the men tackle the difficult job of flying a kite. Past Lies is a Best Seller! 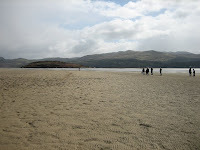 I know this is last weeks but i just loved Wales. ~Is obscenely jealous~ Looks like y’all had lots of fun! WOW! I love the photos!!! They just take your breath away! i LOVE #12!!! so so so nice!! I want to visit!! My TT is up now! Come visit! One of these days I’ll get to go check it out. Happy TT13! 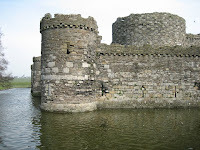 #3 reminds me of the castle that was shown in the latest Hannibal movie! Are castles like snowflakes? Each one unique and original or is it more like, you’ve seen one castle, you’ve seen them all. Wow! Amazing photos. 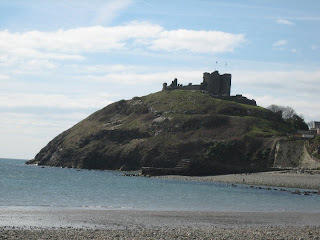 Beaches and castles are wonderful. 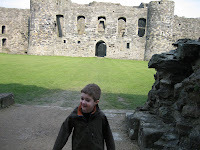 Castle ruins are great too. Gorgeous, Kim! It looks like you had a GREAT time!!! Love it! 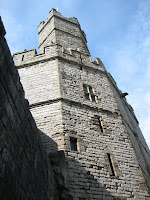 We did some castle hopping when we lived in Germany, and we loved it! Can you ever have too many castles? I love castles and beaches. You took some beautiful photos and the weather looked wonderful! You can never have to many castles. Well, I did number 1 🙂 A miner’s cottage, it was fantastic, would love to spend more time there! Oh I love castles! What a fun experience! 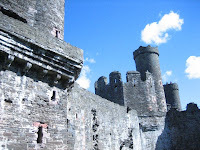 I absolutely love the castles! My dream is to spend at least one month on your side of the pond to visit all the castles and grand homes I’ve only read about. Thanks for posting these. 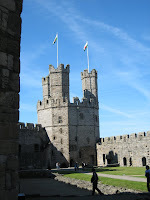 Wales was one of the places I did not make it to when I was studying in York almost twenty years ago. Gads, I’m old! Great post and lovely pictures. I may have to check out your books. Are they available on my side of the pond? Great photos! 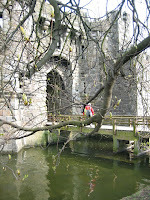 If you get the chance, visit Leeds Castle, which isn’t in Leeds, but about an hour out of London. Happy TT! Beautiful photos and another place to add to my “Must See” list. Wow, those are just breathtaking! The beaches are beautiful as well. My favorite is #10, ,too. Great photos. beaches and castles. Must be nice! I could go to the beaches here but I’d freeze my toes off. I wish the US had more architecture that looked like that! Great TT, have a fun night! 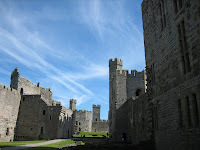 I love the photos, and castles! Great list! And kite flying on the beach sounds great right about now!